Physical Company – provider of Complete Fitness Solutions – has helped GymFit4Less complete an ambitious fit out of its new 24/7 flagship facility in Aylesbury in a deal worth over £20,000. 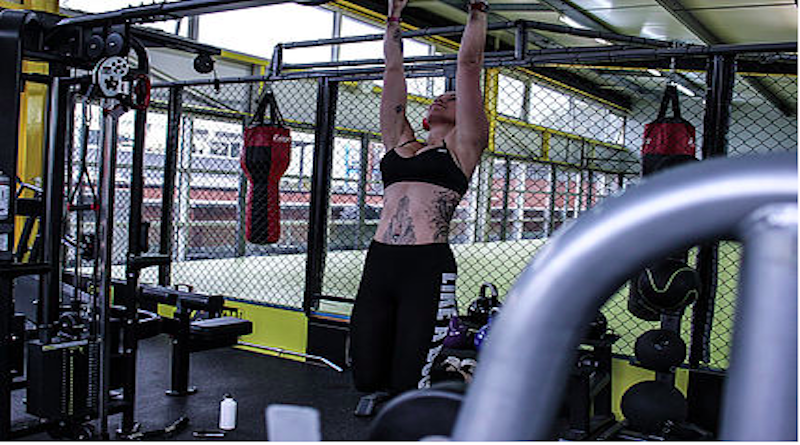 The converted night club is on three floors with an outdoor balcony, mezzanine-level fully equipped gym, ‘dance floor level’ cardio suite, subterranean 50-person dance/class studio and bespoke spin studio. In addition, at roof level, it has a purpose built 25m sprint track and 17x5m MMA Cage. Mike and his construction team worked with the unique setting to create a stunning space including retaining the original glitterball above the split-level gym. The old dance floor houses a vast range of cardio equipment including Star Trac, Stairmaster, Nautilus, Watt Bikes and Schwinn Bikes. Some of the latest items are here such as the Air Fit Bike, My Stride cross trainer and HitMill self-serving treadmill. My Zone screens in the main gym can pick up the activity of anyone in the facility with those in the cardio and spin studios particularly encouraged to track their sessions and training zones. 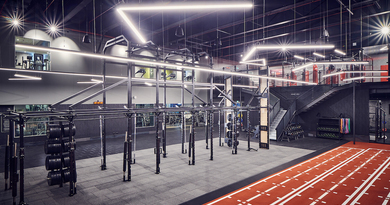 On the mezzanine level, looking down over the cardio floor, is TRX suspension training, Box Masters, Jacobs Ladder, a Strong Man functional training zone, climbing bars, Olympic rings and rope climb. Under the mezzanine floor are housed a Healthy Eating Café, a nail bar, a beauty treatment room, stand up sunbeds and a spray tan room plus a barber and tattoo shop. Physical Company also helped to kit out the ladies-only gym and the dance studio which hosts up to 100 classes a week, including Les Mills Body Combat, Body Balance and Body Pump plus Bangra Dance, Legs, Bums & Tums, Zumba and Yoga classes. Physical Company is Mike’s first choice of supplier. “Its products are top quality and the company’s speed of communication and flexibility are second to none. The team’s knowledge and instincts are a great asset and never more so than when needing to combine creativity with practicality as we needed to at this site,” says Mike.